The Truth About Vaseline – Will it give me acne? Is Tretinoin a good acne treatment? 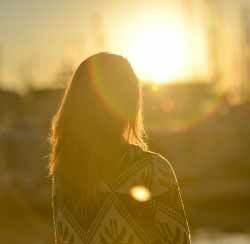 Light Therapy for Acne – Can this give you clearer skin? 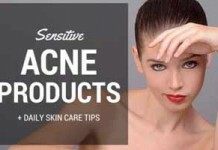 Sensitive skin and acne are two things that are difficult enough to deal with individually. But when you combine them, you can be faced with a very challenging situation. With so many acne treatments available, most of them will cause all sorts of other problems due to your skin’s sensitivity. You essentially end up in a catch 22 situation. You would ideally use some stronger ingredients to effectively deal with the pimples and inflammation. But your sensitive skin dictates that you need to use products that are gentle and don’t aggravate things even more. When you use the wrong products on sensitive skin it will actually respond by producing more natural oils called sebum. But this increased sebum production will actually cause your pores to clog up even more, ending up with worse acne. To help you find the right products to improve your facial cleansing routine, we have put together this guide. It’s packed with information on figuring out what types of ingredients to focus on. And you’ll also find recommendations on the best products you can buy to significantly improve both your sensitive skin and acne. If you’re in a rush, below are the top 3 Best Acne Products for Sensitive Skin, hands down! Easily Our Number One Pick For All Skin Types. Do You Really Have a Sensitive Skin? How to determine if you have a sensitive skin. Best acne products for sensitive skin. These are all-in-one acne treatment systems. You won’t necessarily need to use other acne products in conjunction with them. 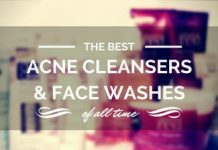 If you’re looking for specific acne products for sensitive skin (not stand-alone acne treatments), I’ve also reviewed the best cleansers, moisturizers, and sunscreens that are suitable and effective for sensitive acne prone skins. At the end, you’ll discover 6 essential sensitive skin care tips that you should employ in your everyday life. Before you head over to discovering the best acne products for sensitive skin, it’s very important to identify whether or not you have a sensitive skin in the first place. Your skin keeps excessively dried. Your skin has a tendency to facial flushing – when your friends or relatives suspect that you have rosacea. When you get rashes, bumps, pustules, or erosions on your skin every now and then. If you’re familiar with any of these conditions, you’re likely to have a sensitive skin. Having determined your skin type, let’s jump over to discovering all the best acne products for sensitive skin available on the market. This Pore Purifying Toner is a breakthrough, premium quality acne treatment, and is especially great for sensitive skin. Packed with herbal and citrus ingredients like Witch Hazel, Sage, Chamomile, Lemon Peel, and Lavender Extract, this miracle toner will help you achieve visibly clearer skin, tighter pores, and a more radiant complexion in as little as two weeks. 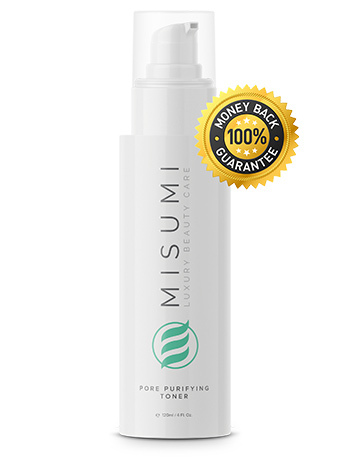 There are so many good reviews from customers who have tried many toners in the past that say none of them come close to being as good as Misumi’s and we have to agree with them. It is our tried, tested, and true number one acne product for sensitive skin. The toner not only soothes and revitalizes the skin, but it also helps to balance pH levels and prevent breakouts. Witch Hazel, a natural astringent, will help you achieve noticeable smaller pores, while Chamomile will reduce irritation and scarring. Lavender contains anti-inflammatory and sebum-balancing properties, which will help to regulate oil production and reduce redness. Lemon peel helps to reduce oiliness without stripping the skin of its natural oil content. 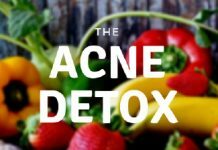 The list of natural acne-fighting ingredients in this formula goes on. Check out their website for a complete overview of the incredible ingredients. This is truly the best toner formula we’ve come across, with high-quality and concentration of safe and natural ingredients. It combines the best that nature has to offer in one soothing and refreshing bottle. Definitely a Must Have in any acne regimen, especially for those out there that are struggling to find suitable products for sensitive skin. Make sure you check their ingredient list to make sure you’re not allergic to any of the natural ingredients. Shouldn’t be used alone as an acne cure or spot treatment. Meant to compliment any acne routine. There’s no denying to the proven effectiveness of time-tested anti-acne ingredients such as salicylic acid (opens skin pores), benzoyl peroxide (fights acne causing bacteria), glycolic acid (rejuvenates skin) and the likes. 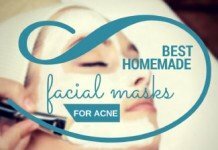 And many acne products use these ingredients individually with great results. However, Exposed Skin Care utilizes all of these wonderful anti-acne ingredients, without exposing yourself to skin sensitivities. How is that possible? With a touch of soothing natural ingredients! Read on for all details. 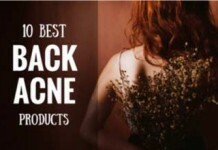 One of the top most rated Acne Treatment Brands out there. Can be used as a standalone acne treatment. Proven scientific ingredients, such as salicylic acid, benzoyl peroxide, and glycolic acid fight your acne fast. Soothing natural ingredients such as green tea, sage extract, and aloe vera makes it suitable for sensitive skin. Leaves your skin fresh and smooth without leaving oil. Can leave your skin dried out. Doesn’t clear your acne overnight, you will need to stick with it to reap full benefits. Extensive directions are provided with each kit that you offer. Basic and expanded kits both offer different coverage, so you will have to follow respective directions included within the package. 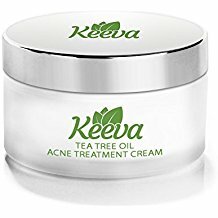 Keeva tea tree oil acne treatment cream is a organic refreshing and soothing acne treatment with no chemicals that makes it perfect for sensitive skin. It doesn’t harm or dry your skin like other acne treatments thanks to its main ingredients being organic tea tree oil and salicylic acid. Works for acne, spots, scars, cystic & hormonal acne. Organic tea tree oil & salicylic acid are the best combination for a moisturized acne free skin. As a great bonus this treatment also includes Hyaluronic Acid that helps diminish the acne scars for a clearer & smoother skin. Refreshing tea tree oil smell. Also helps keeping your skin moisturized. Guilt Free: No animal testing. Chemical Free: No Parabens or Sulfates. Organic: Made with Non-GMO ingredients. Visible results in days not months. Made with natural organic ingredients, some cases of sensitive skin are actually allergies so if you suffer from allergies you might want to take a look first at the ingredients labeled. Scented Cream that some will find pleasant but others may dislike the smell. Not all skin types and cases are the same and although this product works on 95% of the people it won’t work on everyone. After cleansing your face Apply Keeva tea tree oil Acne Treatment Cream directly to your pimples and acne spots. Repeat daily. Flagship treatment from Dr. Howard Murad’s prestigious skin care products line. This acne treatment kit is specially formulated for sensitive acne prone skins. Active Ingredients: Salicylic acid, sulfur. It is a 3 step acne treatment system, which fades acne blemishes your skin while not drying it out and causing redness or itching. The salicylic acid cleanser eliminates pimples by opening up your clogged skin pores. Murad uses salicylic acid in the mildest concentration possible (0.5%) which makes it sensitive skin friendly in true meaning of the word. It is much less likely to cause excessive dryness (due to small concentration of SA) than many of its counterparts. The smell of sulfur (in the spot treatment) is not admired by all. The soothing skin gel should be used twice a day to clear your skin of all unwanted stuff. It contains no harsh chemicals, it’s pretty safe doing so. Use acne clearing solution as a spot treatment and apply it directly on your blemishes. Acne clearing solution should be followed up with Correcting Moisturizer provided with the kit. It will help control dryness on your skin that spot treatment may cause. AcneFree is a 3 part acne treatment system that is especially designed to suite sensitive skins. The kit includes a gentle acne cleanser, followed by a tonerand repair lotion (spot treatment). Active Ingredients: Salicylic acid (1.5%), benzoyl peroxide (3%). 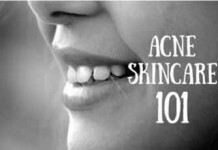 AcneFree employs proven anti acne ingredients such as salicylic acid and benzoyl peroxide in their most mild concentrations. This makes it very less likely to cause irritation or dryness on your sensitive skin. Contains a spot treatment that can be directly applied on your pimples to dry them out. If you’ve tried proactiv and it made your skin peeled, AcneFree is gentler than that and is just as effective. 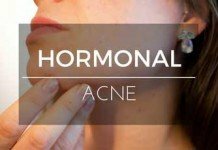 Has the ability to deal with hormonal acne (see what a mother has to say). Not a quick acne treatment. So, you have to be patient in order to reap its benefits. If you’re sensitive to any of its active ingredients (salicylic acid and benzoyl peroxide), this may not be suitable for you. The spot treatment is somewhat strong. Only use it directly on your pimples and avoid contact on very dry areas of your skin. Otherwise, you might end up having a burning sensation or even a rash on your skin. May not be the safest option for extremely dry skin. The spot treatment should be used once daily initially. Apply it directly on your pimples. If your skin can tolerate, you can increase its application to twice a day for better results. Use cleanser once (or twice, if needed be) to open up your blocked pores. Follow up with the moisturizer to not let it dry out your skin. Its active ingredients may turn your skin more sensitive towards sunlight. So, it’s good to wear a sunscreen when going outside. The experts at Simple® are known for their expertise on sensitive skin care. Simple Facial Moisturizer is one of the best options for moistening your sensitive skin without causing it further damage. Ingredients: Mostly natural formulation containing vitamin B5, chamomile and other skin loving ingredients. Extremely light and gentle formula, perfect for sensitive skin acne prone skin. The best part I like about this moisturizer is it’s completely free of dyes, synthetic fragrances, and other harsh chemicals that can cause irritation on your skin. It is an oil-free moisturizer, which means it won’t cause pore clogging, excessive oiliness, or acne on your skin. Being extremely gentle and completely oil free does have a downside. Simple Moisturizer may not be able to effectively moisturize an extremely dry skin. As a result, you may need to apply multiple coatings if you’re not satisfied with the first. But this doesn’t necessarily happen often. It promises to keep your skin hydrated for 24 hours, which is true for most skin types. But for excessively dry skin, 12 hour protocol would be more accurate. Gently apply a thin layer on your skin with circular motions. Just make sure to avoid its contact with your eyes. One of the best products skin care giant Neutrogena has launched for sensitive skin is this Oil-Free Moisture. It is oil-free and non-comedogenic. So, you don’t have to worry about getting more acne after applying it. Works for not just sensitive acne prone skin, but also for combination and oily skin. Doesn’t leave residue on your skin. So you get a blemish free face that is effectively hydrated and moisturized. Gets absorbed fast into your skin without blocking your skin pores. Fragrance-free and works fine under makeup (won’t cause cosmetic acne). Using it simultaneously with acne medications like benzoyl peroxide can cause burning or other side-effects on your skin. The pump bottle that it comes in can get messy once you’ve used half of the moisturizer. You may have to take out lotion by hand. But that’s, however, not always the case. Apply a trifle amount in your hand and gently apply a thin uniform layer on your skin. Message very gently with upward and downward motions until its absorbed on your skin. Just a small pump will do the trick, don’t apply in huge amounts or it’ll leave your skin oily. CLn cleanser is the only product I’ve listed on this page that is awarded with National Eczema Association Seal of Acceptance. It is a prestigious seal that is only awarded to services or products that have proven to be very effective for sensitive skin care. Ingredients: There are many, but the prominent names include glycerin, citric acid, and sodium hypochlorite. Proven to work for dry and sensitive skins which are prone to rosacea, eczema, or acne. Deep cleanses your skin gently, without causing irritation or pore clogging. 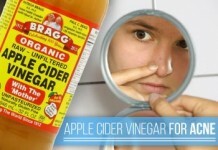 It is capable of eliminating pimples from your skin (read real life example). Sodium hypochlorite (an ingredient in CLn cleanser) gives it a faint but unpleasant scent. Needs to be strictly kept away from t-area of your face to avoid burning sensation. Dispense 2-3 drops of CLn cleanser in your washed hands and work it into leather. Apply on your skin with gentle circular motions. It’s good to keep massaging gently for at least 30 seconds before rinsing off with lukewarm water. Spectro is a Canadian skin care company that has built its reputation as a reliable provider of sensitive skin care products. The flagship Jel Cleanser is popular in North American countries but it is continuously getting traction from around the world because of its efficacy. Ingredients: There’s limited information about its ingredients. But Spectro products are generally free from dyes, parabens and artificial fragrances as they’re specially formulated for sensitive skins. Deep cleanses your skin to clear it off all unwanted dirt, oil, and bacteria that leads to acne formation. Won’t dry out your skin as it contains moisturizer within. Completely free of mineral oils that make products comedogenic. Also suits Perioral Dermatitis sufferers. Not an all round acne treatment. 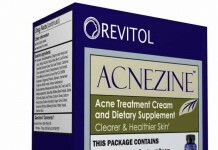 Generally requires a spot acne product in conjunction, to get rid of acne. It is a non-foaming cleanser. A big downside for many, like myself, but not for all. Apply a few drops on your wet face. Massage gently for about 30 seconds. Wipe off with lukewarm water. Start off with one application daily. Once your skin gets familiar with it, increase its usage to twice a day, morning and night, for best results. TreeActiv’s mission statement says: “We founded TreeActiv in order to discover a truly natural way to take care of our bodies,” and this natural cleanser is a testament to that. Ingredients: Enriched with all natural ingredients including castile soap, sulfur, charcoal, vitamin c and peppermint. Thanks to the presence of sulfur and its natural anti-septic, anti-fungus, and anti-bacterial properties, this cleanser ensures getting rid of all toxins debris that clogs your skin pores. Balances your skin’s oil levels with the addition of peppermint essential oil, which also contributes fighting acne causing bacteria. Rejuvenates your skin and slows down ageing process with the help of vitamin C. Its anti-oxidants fight free radicals and improve cell turn over, and the boost of collagen ensures skin’s elasticity and smooth texture. Potent formulation of proven natural ingredients makes it safe and effective for sensitive acne prone skin. Honey granules present in the cleanser work as gentle exfoliants. Does not foam or lather as easily, due to being made from mostly natural ingredients. Some users have reported a noticeable sulfur, egg-like scent. It is a cleanser that helps acne prone skin, but cannot be taken as a standalone acne treatment. Not particularly good at removing makeup. Take a dime sized amount in your wash cloth or lather in hands. Gently massage on your face and neck. Rinse off with lukewarm water and pat dry. If you’re looking for a moisturizer packed with organic ingredients, Insta Naturals has this present for you. Tackle your acne scars, ageing, and uneven skin tone with this powerful vitamin c moisturizer. Ingredients: Aloe vera, organic sunflower oil, retinol, palm oil, vitamin c, hyaluronic acid, jojoba oil, and more. Presence of hyaluronic acid helps fading dark spots, hyperpigmentation, sun burns and skin discoloration. Provides just the right amount of moisture that your skin feels moist while not being excessively oily. Has excellent anti-ageing properties that help reducing wrinkles and fine lines. A mild orange smell that doesn’t last too long. Proven effective against acne scars. Hydrates your skin and leaves it smooth and shiny. It has a thick texture, feels more like a cream than lotion. It would take a while messaging until it absorbed into your skin. If you’re more into a retinol based moisturizer, this might not be the product you’re looking for. Retinol is not the main ingredient here. The pump on the bottle is not perfectly designed. Even with your gentlest push, you will end up having more stuff in your hands than you need. Has a lot of essential oils present in it, so not going to be the perfect option for oily skin. It is advertised as a night cream. So, cleanse your skin and apply moisturizer liberally all over your skin and leave overnight. You can use it to get moist during the day, but it doesn’t come with SPF so keep that in mind when going outside. CoTZ is one of the most popular and effective sunscreen for sensitive skins for some definite reasons I’ll highlight below. Ingredients: It is a mineral complex. Protects your skin from both UVA (rays that cause deep damage your skin) and UVB (rays that cause superficial damage such as tanning). Is it a gentle, non-comedogenic formula that is perfect for skins prone to acne, rosacea, or eczema. Won’t sting like majority of other sunscreen available. Best sunscreen for winter dry skin. Can leave a light residue on your skin. This is why it can be a bit greasy at times. I recommend using it in small amounts so there’s not much to be left on your skin. Can cause itching to particular skin types, you should stop using it if it does so to not let it worsen your skin. Can be excessively greasy in warm weather, and for oily or combination skins. Just apply it uniformly on your face, neck, or hands. Shake before taking out as it can get a bit watery if kept still for a long time. EltaMD has a decade long history of producing quality skin care products that people have admired over the globe. This broad spectrum maximum SPF sunscreen is one of EltaMD’s flagship products and it’s specially designed for oily and acne prone skin. The unique blend of proven ingredients promote a protected, healthier looking skin. Ingredients: Zinc oxide and niacinamide are among the top ingredients. Followed by hyaluronic acid and lactic acid. Recommended by Skin Cancer Foundation as an effective broad spectrum sunscreen. Zinc oxide-based formulation ensures maximum protection from UV rays. Absorbs quickly on your skin without leaving an oily sheen as most counterparts do. Being an oil-free sunscreen, it suits acne prone skin while also helping to fight its symptoms. Free from parabens and artificial fragrances, but still holds a mild, pleasant scent. Doesn’t stop at protecting your skin, but improves your complexion, fades redness and dark spots, and helps slowing down ageing process. Priced on the higher side. Not water resistant. So, inefficient while sweating or swimming. Apply evenly over your face 15-20 minutes before sun exposure. Reapplication is required every two hours. Having acne is bad. But having acne with sensitive skin is worst. Sensitive skin is extremely common. Studies have shown that almost half of the population share sensitive skin. Although, having a particular skin type is natural and you cannot change it. But this doesn’t stop you from taking good care of your skin. The following skin care tips for sensitive acne prone skin will help you keep your skin under control. They will also ensure that you don’t make your acne worse. It’s tempting to quickly scrub away dead cells from your skin to eradicate blackheads and whiteheads. But this can prove to be a worst step when you have sensitive skin. Harsh scrubs will cause further peeling on your skin. This will result in more redness, irritation, pain, and quite possibly more acne breakouts. You need to be gentle with your skin as much as you can. Avoid harsh exfoliants and scrubs at all costs. I even recommend taking time to figure out the best acne soap that suits your skin. Most of the washcloths available on the market today, even those claimed to be designed for acne prone skins, can be harsh on your skin. Moreover, Peter Jaret from WebMD believes that conventional buff puffs and washcloths can result in excessive oiliness on your skin. This is because they can peel off the natural oil from your skin, which triggers your skin to produce more oil. And, more oil = more blocked pores = more acne. So, unless you’re using a highly specialized washcloth for sensitive acne prone skin, you should better stay away from it. By this I mean you shouldn’t employ multiple acne treatments on your sensitive skin at the same time. If you’re using an over-the-counter acne cream or gel, make sure you’re not taking some acne pills at the same time. However, some products can be used along with other medications simultaneously – like in exposed acne treatment system. But generally, products that can conflict with other treatments are labeled to do so. So, you should check that in the product description. Some acne products containing benzoyl peroxide or retin-A require to leave them on your skin all day long to be able to effectively deal with bacteria and rejuvenate your skin. This can be too much for your sensitive skin. However, you may be able to tolerate them in shorter periods. Never leave concentrated acne treatments on your sensitive for more than 20 or at most 30 minutes. You should consult your physician if you want to leave them on for longer. Another effective step towards controlling stinging, redness, and itching caused by your sensitive skin is to avoid sun exposure. A little bit of sunlight is always good, but make sure it’s not prolonged. It’s good not to blatantly use any new product on your sensitive acne prone skin. Always start off with small amounts. If you think your skin is alright with it, means that there’s no irritation or redness, you may gradually increase its concentration. If you ever feel that your skin is tight and has a sand-paper like texture, chances are you have a dehydrated skin. Sensitive skins are prone to this condition and it can result from diet, weather, or products that you use. Along with the blemishes you have, your skin can quickly become a nightmare if confronted by this over dryness. Note that dry skin is a type, something that you’re born with, whereas dehydration is a condition. Dry skin does not produce much oil and always requires a bit of moisturization. To cope with dehydration, make sure you’re using a gentle soap or cleanser (like we shared in this post). If you were using them 2-3 times a day, start using them just at night. 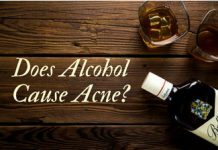 You should generally avoid products with alcohol (such as toners and astringents), and not attempt to scrub away skin’s natural oil with some exfoliant. Vitamin A: Dry and flaky skin is one of direct consequences of its deficiency. Its adequacy leads to health skin, hair, and slowed ageing process. The foods rich in vitamin A include carrots, mangos, apricots, green leafy vegetables, dairy products, beef liver, salmon. 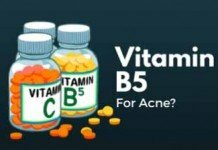 Vitamin B Complex: It will alleviate your skin of tightness by increasing its elasticity. To get enough of it, eat brown rice, barley, red meat, poultry, fish, dairy products, legumes, seeds, nuts, citrus fruits, avocados, bananas, and leafy vegetables. Vitamin C: Provides much needed protection from sun. Citrus fruits are the best source. Vitamin D, E, and K: Together they support immune system, prevent allergies, heal sunburns, and fight inflammation. Good food sources are tuna, mackerel, and salmon, beef liver, cheese, and egg yolks for vitamin D. And fruits, whole grains, and leafy vegetables for vitamin E & K.
Stress has been linked to acne, which implies that it’s not good for your sensitive acne prone skin either. Stress develops differently from person to person. It can be good or bad. But negative stress leaves no stone unturned to wreak physical and emotional havoc in your life. Calling a friend or loved one. But if you frequently suffer from this reaction, it might indicate to an underlying condition. It can be acne, but rosacea, eczema, psoriasis are also usual suspects. That is why it is always recommended to see your Dermatologist in case of frequent sensitive skin reactions. It is a protective barrier on the out layer of your skin. It serves two primary functions: to keep water locked in, and prevent potential dangers like chemicals, UV rays, wind and heat getting in. When this lipid layer is thinner or weaker, you get a sensitive skin. This implies that even when you don’t have a generally sensitive skin, spots where this barrier is broken may still suffer from increased sensitivity. If you expose your immune system to a certain irritant too much, it will become extremely sensitive to it, and will develop a skin allergy over time. 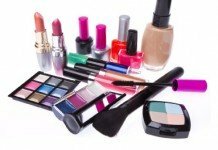 According to NIH, substances like rubber, formaldehyde, nickel, or skin care ingredients like a fragrance or dye can play a role in this. It results when your immune system gets hyperactivated on the skin in response to a perceived threat. Symptoms like redness, pain, scaling, itching are usually the result of this reaction. Instead of blaming for fate for it, embrace the fact that developing a sensitive skin is pretty common evolutionary process. 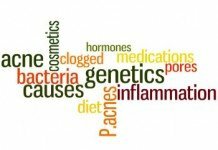 While some of it can be blamed to genetics and how your lipid barrier is constructed, it is mostly up to the arrow of time. It is also the reason why some products you loved actually start working the opposite for your skin. As you age, your barrier will get weaker, and your skin will tend to get drier and more sensitive. Your best response is to adjust your regimen according to these changes. According to Dr. Melissa Piliang, harsh soaps and hot water can strip your lipid barrier. Warm water and melt those protective fats away from your skin. This is contrary to the ‘beauty tips’ that suggest to use hot water to open your clogged skin pores. Dr. Melissa suggests to use cold or lukewarm water while cleansing and try doing it once a day if you have sensitive skin. Products with short and simple ingredients are going to be your best bet in the long run. Do not just trust the ‘sensitive skin’ label. Always do your due diligence. Watch out for ingredients like sulfates, dyes, preservatives, emulsifiers, alcohols that are the common irritants. Also avoid certain botanical oils like lavender, and artificial fragrances. Derms have a consensus on fragrance as the biggest offender of sensitive skin. These include artificial and even the ones derived ‘naturally’ from essential oils. So, not just your acne treatment, any product that you wish to put on your sensitive skin should be free of fragrance of any kind. 9. Be Skeptical About Strong Products. You can hate your acne so much that you wouldn’t mind if you have to consider a 10% salicylic acid peel to get rid of it. But experts suggest caution. Do a consultation before trying something outrageous. There might be equally effective options available with significantly less risk for your sensitive skin. Make it a habit: any product that you wish to add to your skin care regimen has to pass the patch test. Dr. Melissa recommends to start off on your inner arm. If it doesn’t irritate in a week or so, you can then move on to your neck and then eventually your face. 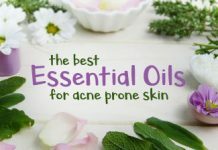 This is all from this comprehensive post on best acne products for sensitive skin. 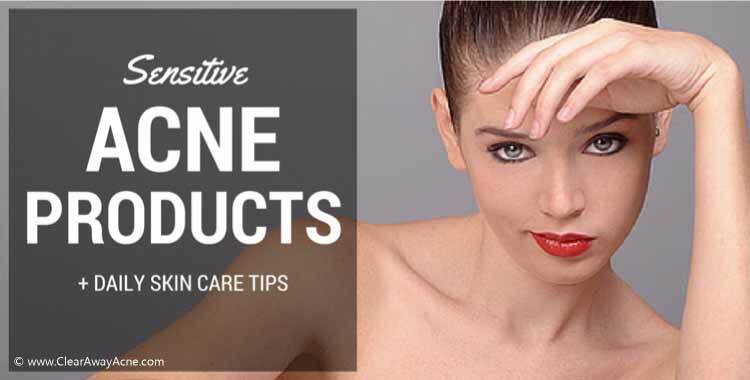 You didn’t only discover these hand-picked, highly effective and popular products for acne prone sensitive skins, but you also learn some highly effective tips for sensitive skin care. If you have any questions or suggestions regarding this blog post or topic, let me know in the comments below. I’m counting on ya! 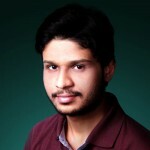 Sheikh has been blogging regularly at CAA for 4 years. He spends majority of his time studying health and technology or participating in discussions about these niches (online or offline). I would highly recommend foderma serum for eczema and acne it works wonders on skin. I bought foderma serum for one of my relative and she said foderma was top notch healer. She is feeling very comfortable now and all her eczema and acne are gone. I have a itchy sensetive oily skin..when new acne grow up its feel itchy..and after that turn into black spot..i dont understand which product suit me …can any one advice me specificly..and my age is 31.. Many great options, I haven’t tried them all but have used 4-5 of them. The Eltamd UV sunscreen and Spectro Jel Cleanser work fabulously and are a collecters item as well. Each collection has them in slightly different color formulations and they really do provide an excellent finish natural but better. 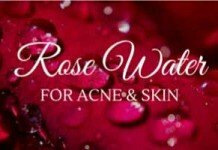 I have very sensitive skin it’s oily black spots blemishes and reddish. Facial Moisturizer is so important. 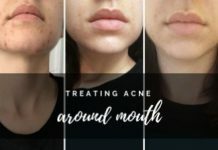 I have adult acne and I noticed it got so much better when I use facial moisturizer on my acne. Thanks for sharing. Hello. I was interested in the Exposed skin care line. 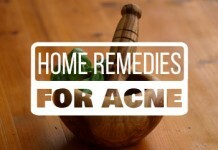 However, you indicate not to leave any acne treatments on for long periods of time. The acne treatment serum for the morning does not say to wash off after applying?? Just wondering if it would be to strong to leave it on all day. Thank you. Not when you experience burning, itching, or dryness after its prolonged application. Otherwise, you can leave it off as it directs to reap maximum benefits. Hi! I see that the Misumi brand also has cleansers and a moisturizer. Are these NOT good for sensitive skin? Just wanting to find a cleanser, toner, and moisturizer for my 16 year old daughter’s sensitive skin with mild acne. Thank you for any info!! LOVED this article! 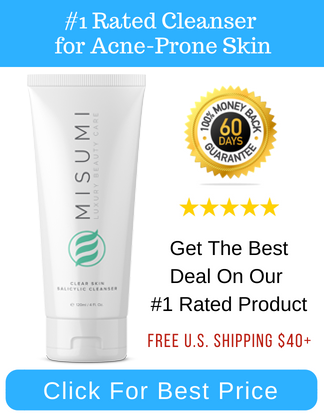 MISUMI has a very good record on sensitive skin, which is the reason it’s among our top choices here. Their toner is best choice if your target acne condition is mild (comprising of blackheads and whiteheads), whereas their Cleanser is recommended for moderate acne (papules and pustules). CLEAR AWAY ACNE is your one-stop portal for finding rational advice on understanding, treating, and preventing acne the right way.